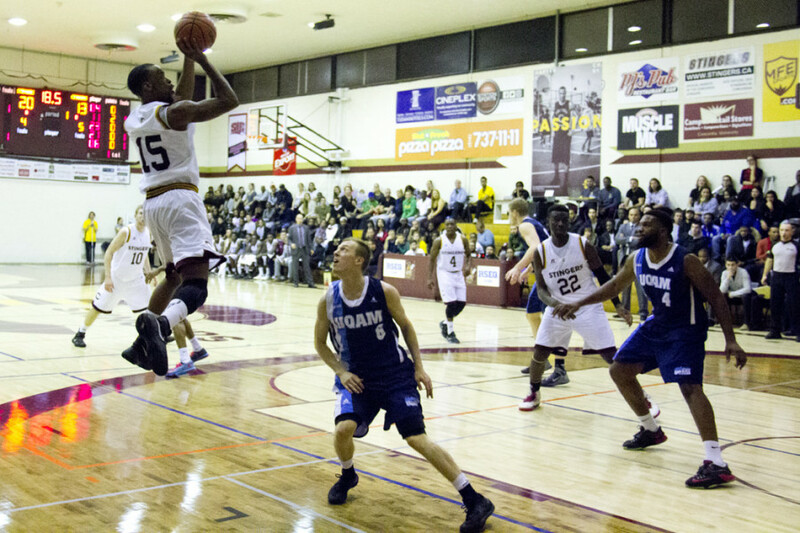 Stingers guard Jaleel Webb led his team to a 69-56 victory over the visiting UQAM Citadins this past Saturday evening. Webb had 27 points and five rebounds in the team’s first game and win of the season at the Concordia Gymnasium. “It’s very important to get that first win, obviously we are trying to win every game of the season,” said Stingers head coach Rastko Popovic. Webb’s 27 points led all scorers during the game, which left a good impression on his teammate Michael Fosu. “He is a key part of our team so if he plays well, it looks good on the team.” said Fosu. UQAM was led by guard Greishe Clerjuste who scored 15 points and added four rebounds in the loss. The team’s head coach Nate Phillippe wasn’t pleased with his team’s indiscipline. “When you foul 27 times and you turn over the ball 19 times, those are the things we need to correct and get better at.” Philippe said. Concordia is already looking forward to their next opponent, the Laval Rouge et Or, on Friday, Nov. 13. “They shoot the ball a little bit more and they have good guards as well, it’s all about how we are going to stop them.” said Popovic. 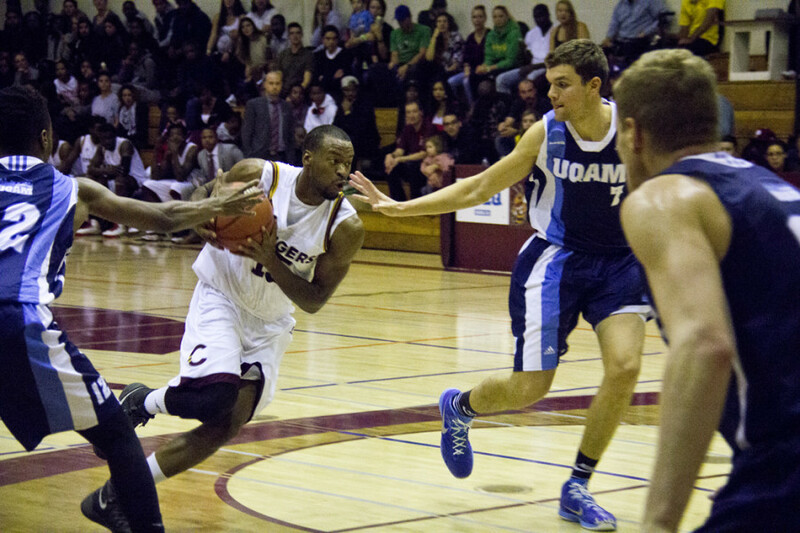 The Citadins will be playing at home against the Bishop’s Gaiters on Thursday, Nov. 12.